Community outreach has been considered synonymous with Lakeside Church over the years. The church has been a leader in the ecumenical community both in innovative outreach efforts and in support of existing organizations. Meals on Wheels is a community ministry that serves over 100 meals daily. For many years meals were distributed from our kitchen. Currently they are distributed from First Presbyterian Church. Lakeside provides office space and utilities for the Director and Associate Director of Meals on Wheels. 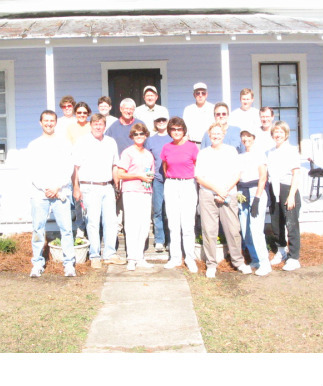 Habitat for Humanity was begun in Rocky Mount in 1990 through Lakeside impetus and in 1996 we became the first church in eastern North Carolina to underwrite the total cost of a Habitat house. The $35,000 cost was paid through budgeted funds and designated gifts. The church built a second in 2005 in partnership with West Haven and First Presbyterian Churches. 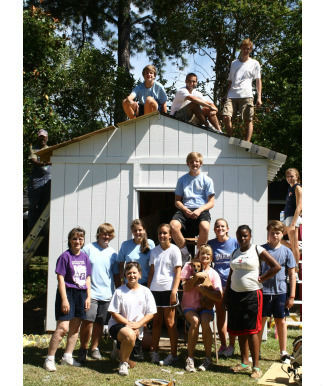 Gatekeepers Workcamp, our summer youth program to rehabilitate homes owned by elderly citizens, was instituted by Lakeside in 1992. 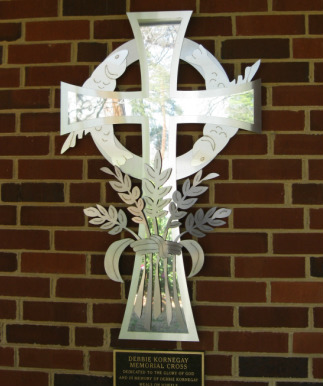 Although now an ecumenical summer program, it continues to be a Lakeside-directed ministry. Crisis Ministry Center was formed in the 1980s to assist persons in time of financial emergency. Lakeside was one of the founding churches for CMC and provided positive direction through members serving on its board of directors. The Crisis Center was later merged with the Soup Kitchen and Shelter for the Homeless into the United Community Ministries. We participated in the Interfaith Hospitality Network and supported the renovation of a former school building to establish the Bassett Center, a resource and housing unit for families. Currently, we participate with a coalition of churches in the FIGS program (Filling In the GapS) to assist local families with emergency needs. Lakeside contributes over $20,000 annually to these ministries. Baptist Women: Lakeside has five Baptist Women’s groups which meet monthly for mission study and community mission activity. Shared Facilities: Lakeside makes its facilities available to various non-profit groups who use our buildings for their meetings such as: Meals on Wheels, West Haven Community meetings, the Department of Social Services Foster Care program, Delta Kappa Gamma (an educators’ sorority), local garden clubs, Teen Court, Communities in Schools meetings, Community Christmas Chorus rehearsals, local service organizations, and Suzuki violin lessons. CareNet Counseling Center of Rocky Mount is an interdenominational pastoral counseling ministry partnership that provides counseling services to individuals and families. It is a satellite center of CareNet Counseling of Greenville and is part of the larger CareNet Counseling Service affiliated with Wake Forest Baptist Health in Winston-Salem, N.C. A counseling office is located on the second floor of our administrative building.mmunity outreach has been considered synonymous with Lakeside Church over the years. The church has been a leader in the ecumenical community both in innovative outreach efforts and in support of existing organizations.